I’m loving this French artist, Anne-Sophie Tchiegg: Inspired by her colors, abstract landscapes and plant life, full color field of vision, bold brushwork, intricate line work. 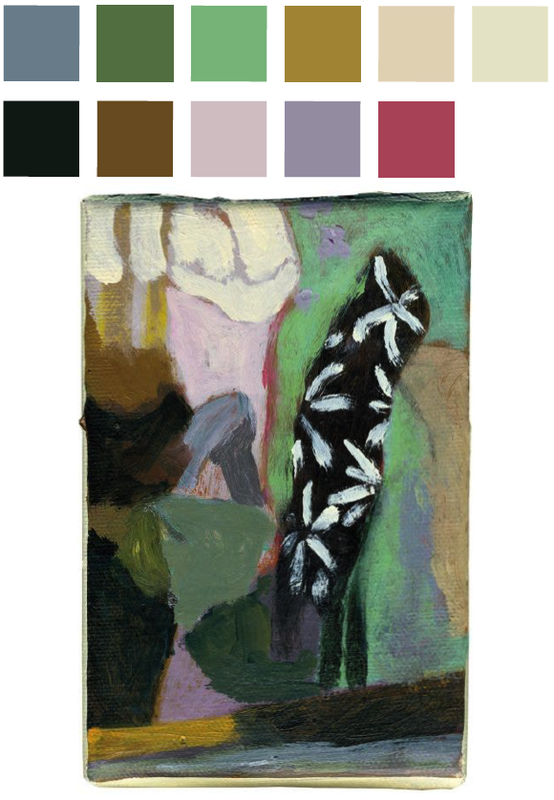 Her colors remind me of the impressionist period painters - a bit old world, bold, rich, and muted. There’s nostalgia and whimsy in her work that I so desire in my own work. 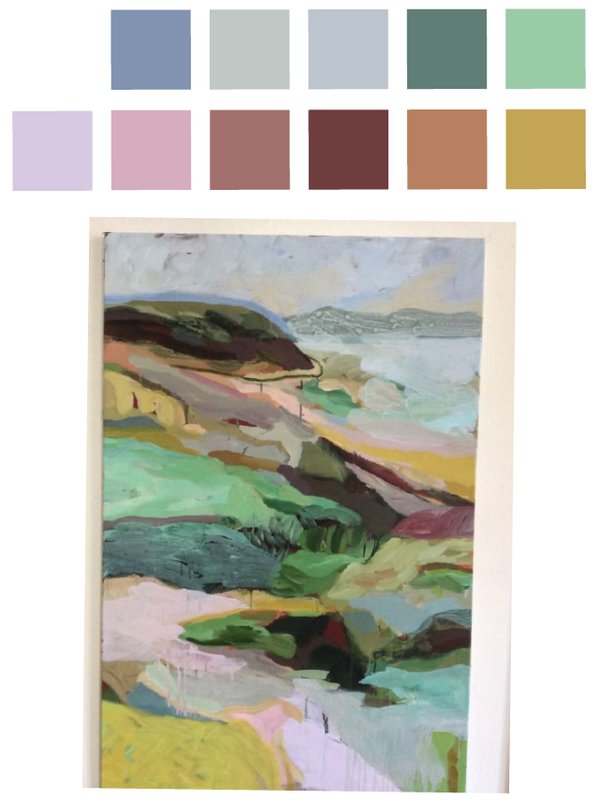 I pulled some of my favorite colors out of her paintings and lo and behold…this first set of colors is the exact same as this post. go figure! I guess I have a color palette I’m drawn towards.